We've done some digging. And we think we may just be the most dog-friendly festival in Britain. 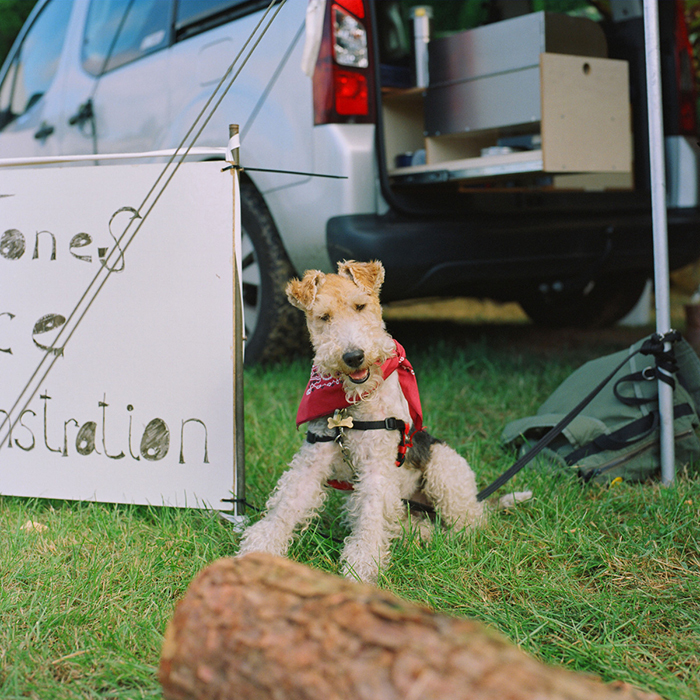 That's not to say that we're a dog festival, but simply that over the past five years we've welcomed dogs with open arms both in our campsites and our main arena. After all, they're part of the family. There's no charge to bring your favourite hound along for the weekend, we just ask that you let us know if you're planning on bringing them when you order your tickets. Not sure? Tick the 'maybe' box. Previous years have seen dog shows, canine circuses, best dressed competitions and drop-in vet sessions. This year we're lining up more of the same to keep them entertained all weekend long. Across the site you'll find hydration stations to keep them topped up, spots to pick up free poo bags, and plenty of bins to keep the site spick and span. Keep your hound on the lead at all times on site. There's plenty of spots away from the action for them to stretch their legs. Pick up after your dog. In five years of hosting TGLE we're yet to spot any stray dog mess. Let's keep it that way. Avoid the music tents at night. Enjoy the action from just outside if you can. Things can get a little lively after 8pm! Because who doesn't want to scroll through a load of wonderful dog portraits? Here are a few of our favourite four-legged guests from the past five years. "As a lifelong dog owner I have always enjoyed drawing pooches. It’s challenging drawing them from real life but I believe it’s a unique and special way to capture their moods and personality." Francis roamed the festival site back in September 2018 looking for handsome hounds, check out the results on his Instagram. Our tickets are still at Super Early Bird prices... for now. Book yours today and you can rest assured that prices will never be this low again!